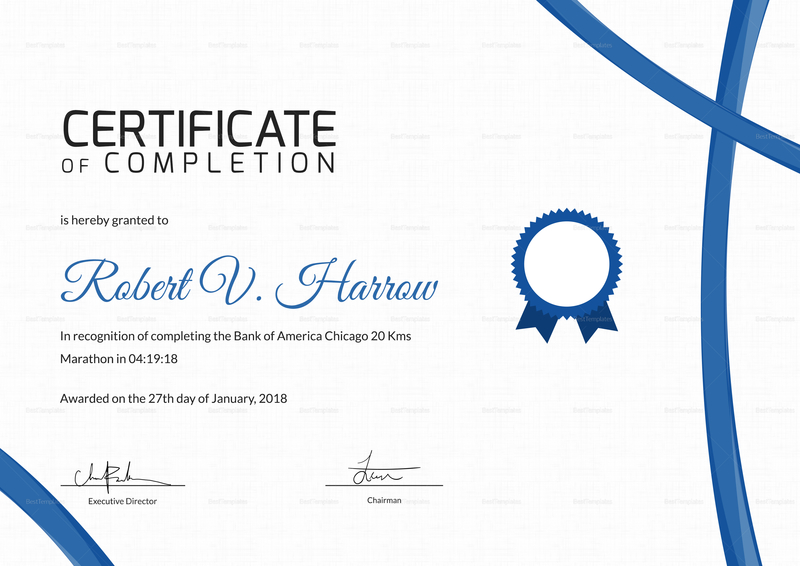 Award runners for completing the marathon with this ceremonious certificate of completion. 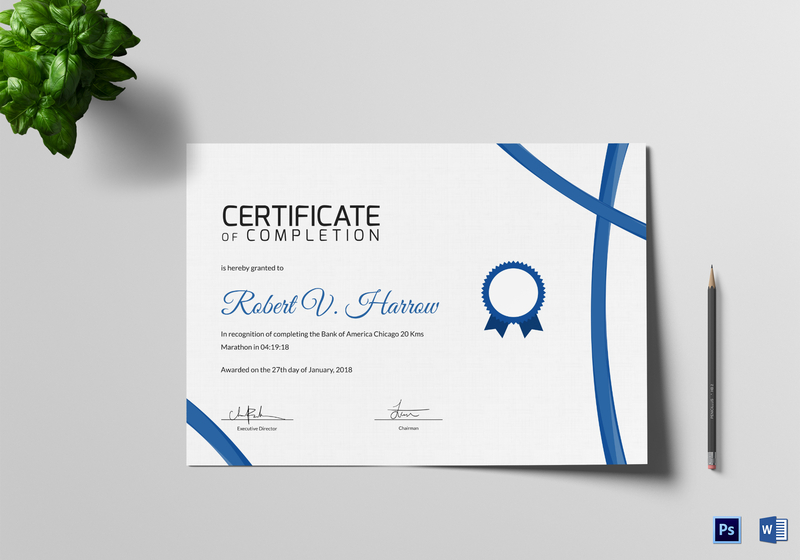 With cleanly made layout and the use of handmade graphics designed by experts, this certificate template is perfect for runners to bring home. Fully editable and highly customizable, just download, edit, and print. The template can be used using MS Word and Photoshop among other suitable applications. Also print ready you can use at home or through commercial printers.